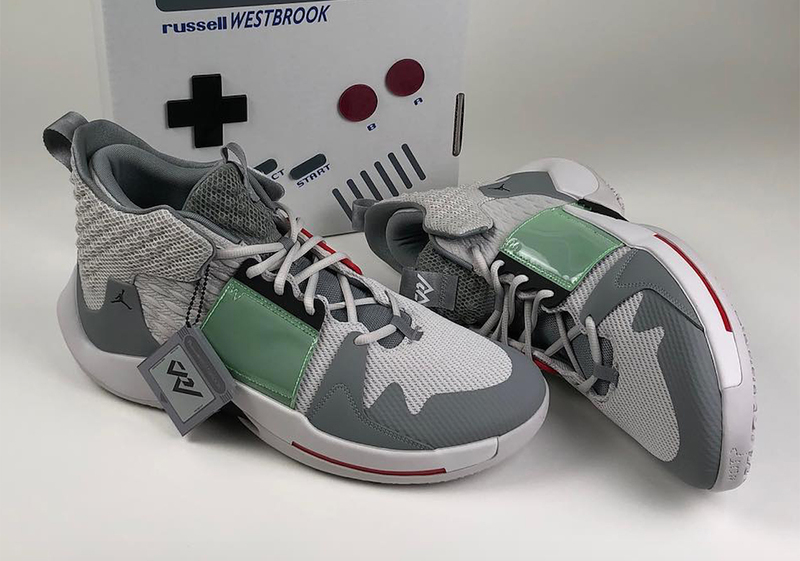 Russell Westbrook‘s new Jordan Why Not Zer0.2 has been packed chock-full of childhood nostalgia as of late. 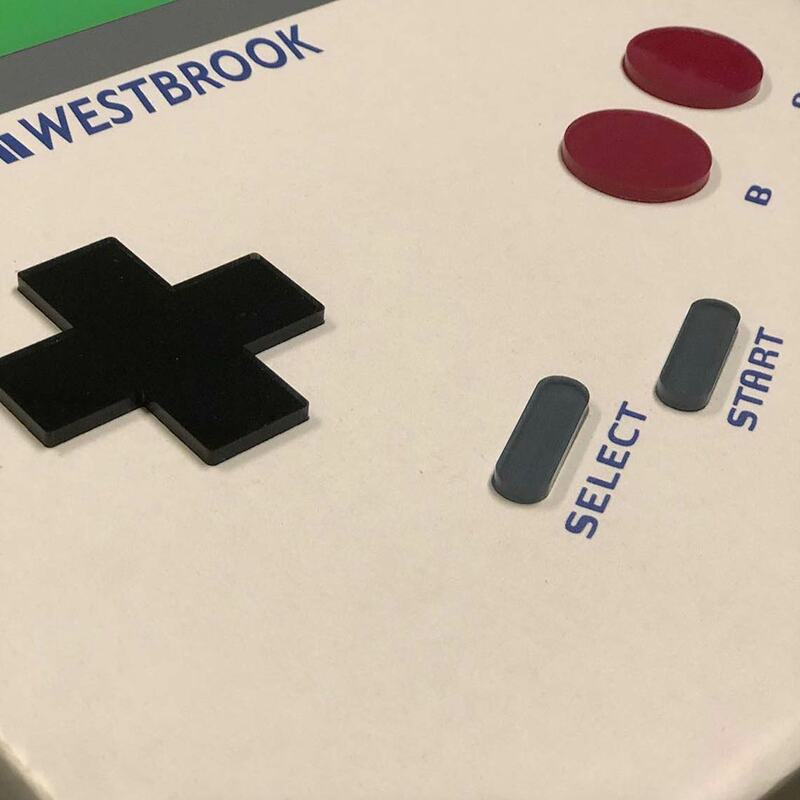 After Brodie recently rocked a Super Soaker-inspired colorway during a game, we now have a look at another new pair that draws from something else ’80s and ’90s babies are very familiar with: the Nintendo Game Boy. The shoes don a mixture of grey hues and feature green/burgundy accents, all drawn directly from the original 1989 black-and-white device. 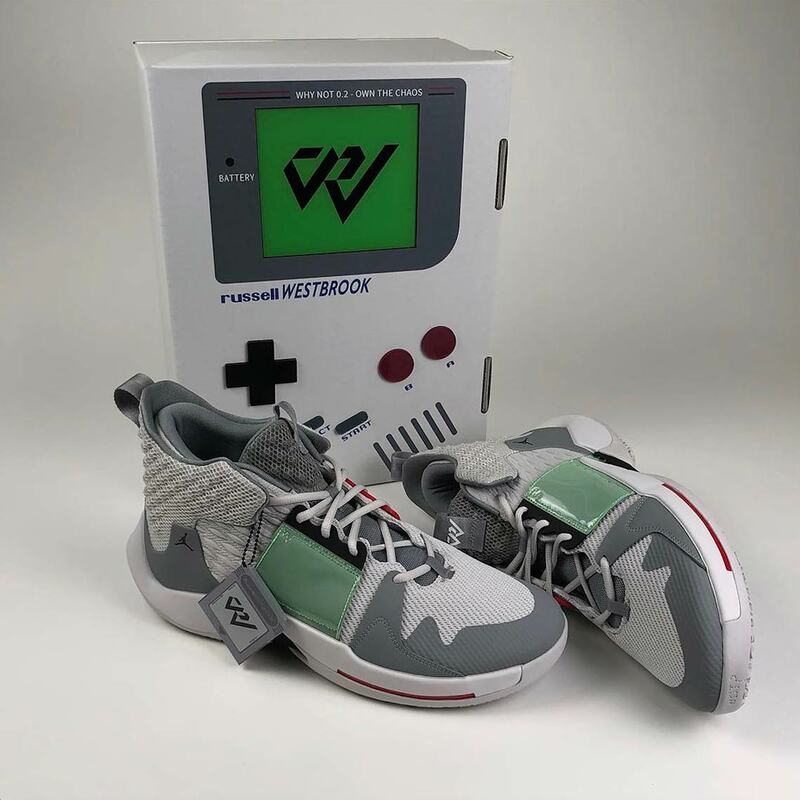 The inspiration doesn’t merely extend to the shoes themselves though: the hangtag is also made over to look like an OG grey Game Boy cartridge, and the box is an out-of-this-world cardboard reconstruction of the beloved device. 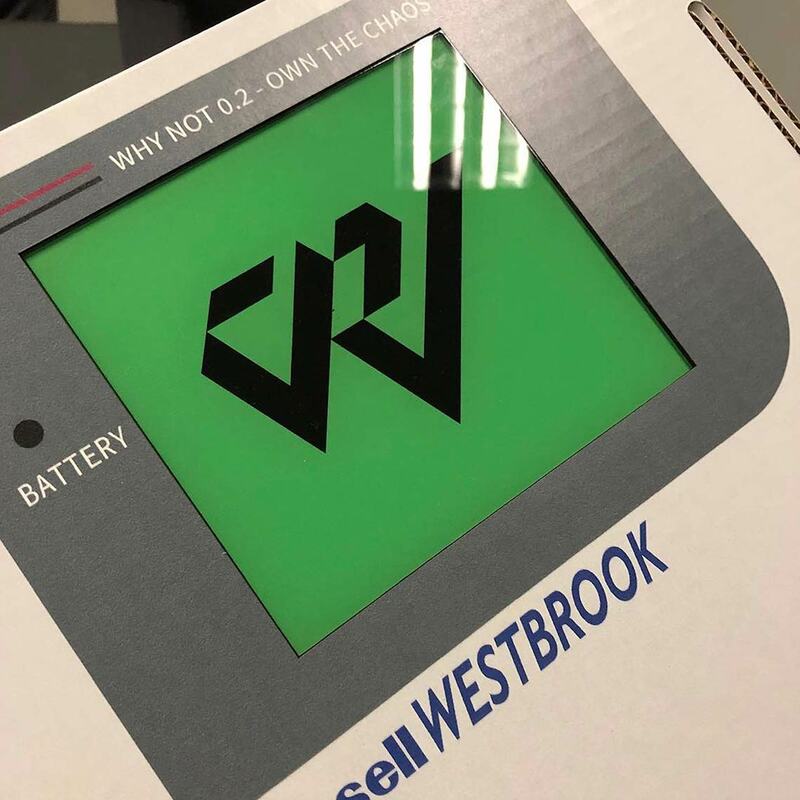 The special packaging flips the standard Game Boy branding to Russ-specific hits, with Westbrook’s special Jordan logo on the “screen,” and also features his name/”Own The Chaos” mantra to complete the design. These special Jordan shoes are likely a PE — much like the aforementioned Super Soakers — as the box was created by Beaverton design studio Recon Beat Lab, but stay tuned for more updates on Why Not Zer0.2 releases as they’re available.